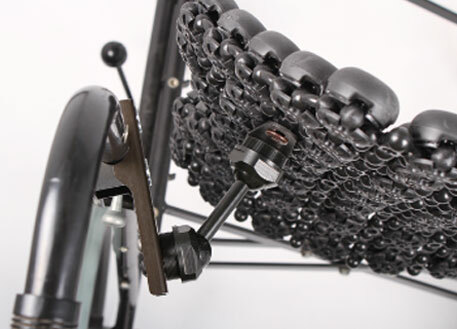 The Pivot is a simple modular mechanism for attaching headrests, back supports and special seating to wheelchairs. It can pivot and move to allow head, back and seats to be positioned for clinically optimal function and comfort. Tilt and direct movement ranges give an exceptional continuous positioning capability, all in a single component that fits either 22 or 25mm tubing. 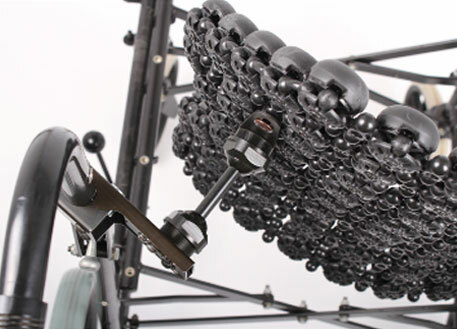 The Pivot's quick release feature means any mounted hardware can be easily removed and reproducibly re-attached. The Pivot has been crash tested using a new computer simulation1. In addition to mounting Matrix Systems and the Heads First, the Pivot can be fitted to other supplier's systems. Contact us for a price list and to find out more. There are various discount options when ordering a set of Pivots with a Matrix sheet. The video shows how to attach a Back to a wheelchair using the Pivot. If you have any further questions, please feel free to contact us.